Tuhon Jared Wihongi is a full-time International Tactical Combatives (Hand-to-Hand Combat), Firearms and Martial Arts Instructor/Consultant. 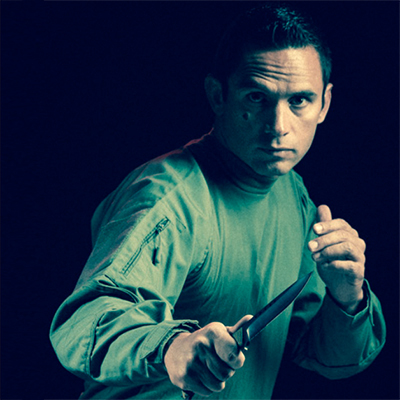 He is most known internationally as a Pekiti-Tirsia Kali Instructor, and his specialization extends to the complete tactical application and integration of empty-hand, edged/impact weapons and firearms skills in extreme close-quarters. His vast experience operating in the Real World as a SWAT Operator, Police Firearms/Defensive Tactics Instructor and street Patrol Officer has heavily influenced his approach to teaching, training and applying Pekiti-Tirsia. In addition to training thousands of security personnel, conventional police officers and soldiers in many countries, Jared has taught Pekiti-Tirsia tactics and Tactical Firearms to police and military Special and Covert Operations individual Operators and entire Units throughout Europe, Asia, Australasia, North & South America. He continues to travel throughout the USA, Europe, South America and Asia several times yearly to teach tactical courses, most particularly in and around the Philippines, Brazil & Germany. Jared has also worked occasional Executive/Close Protection jobs for some of his international clients. Private Sector Security Professional, 1996-2000. Deputy Sheriff for the Salt Lake County Sheriff’s Office, 2000-2001. Police Officer Salt Lake City Police Department, 2001-2008. Chief Defensive Tactics Instructor & Firearms Instructor, Salt Lake City Police 2004-2008. SWAT Operator Salt Lake City Police, 2003-2008. Reserve SWAT Operator South Salt Lake Police, 2008-2013. Reserve Police Officer South Salt Lake Police, 2013-Present. From 2003-2013 Jared participated in over 100 high-hazard operations including hostage situations, barricaded gunmen and narcotics warrants in the capacity of a SWAT Operator. In addition to Jared’s 14 year background as a Police Officer, he has been contracted as a Combatives Instructor for U.S. Army Special Forces Units for the last 9 years. He has also taught Defensive Tactics and Combatives courses for other training companies that cater to the Special Operations community. In the private sector, Jared is currently retained by Browning as the Tactical Consultant for their new Black Label brand of Tactical Blades and equipment. He is retained as a consultant for the Tactical Baton training program for Germany’s Bonowi Camlock Baton. Jared was also recently featured as a subject matter expert on season one of SPIKE TV’S hit series Deadliest Warrior. In March, 2012 Jared was invited to represent Tactical Pekiti-Tirsia at the European Police Trainers Conference in Nuremberg, Germany. He was one of only four international Hand-to-Hand Combat Instructors invited to teach at the conference, which is attended by hundreds of Police Instructors and Tactical Officers from around Europe.